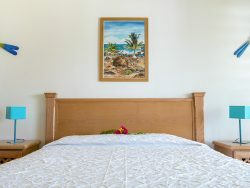 Our apartments are equiped of Air conditioning (personal adjustment),TV (Flat screen), and a Safe. 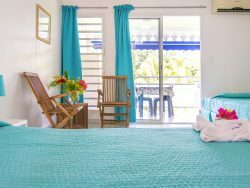 Free WIFI is available on the property and in most apartments. 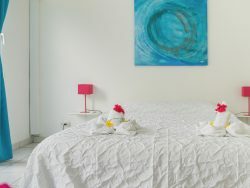 The House linen (bed sheets, pillow covers, bath towels and bath mat, dish clothe) furnished, it can be change on request.